blogs	- Travel blogs - Our Blogger Winners! Real Food Adventures: eat the world! 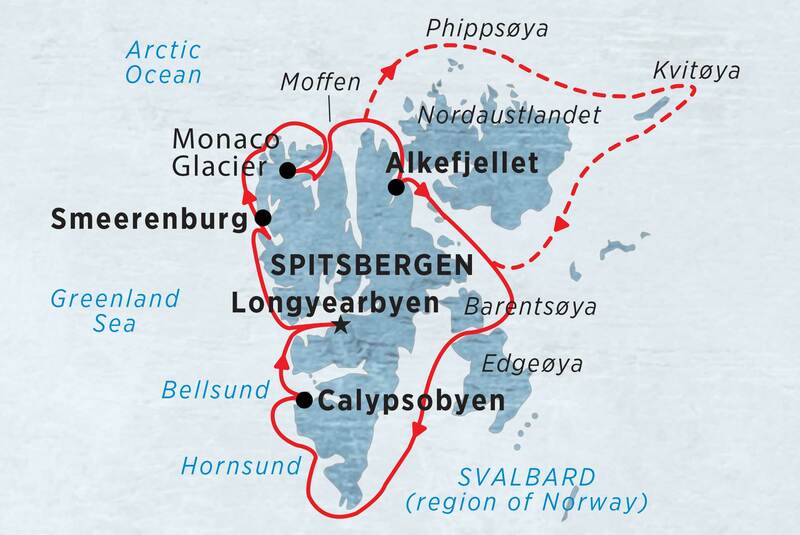 Spitsbergen is the largest island of the Svalbard archipelago, which we will attempt a circumnavigation of the island on this voyage. Lying entirely within the Arctic Circle, it is rugged, wild, unspoiled and utterly unforgettable. When it comes to viewing Arctic wildlife Spitsbergen is known as one of the most prolific destinations. Offering one of the world’s best opportunity to view polar bears, you’ll be able to see the world’s largest carnivores in their natural habitat. Walrus populations love Spitsbergen as well, feeding in the food-rich icy waters around the island. Whales and seabirds will entertain you during the sailing portions of the expedition, while you may catch a sighting of reindeer or Arctic fox when taking Zodiac excursions to land. Click here for full contact details.